We’ve all been told that breastfeeding’s best for babies; but why are less than half of Filipina mothers opting for exclusive breastfeeding? Reality bites, and in fact, recent figures released by the Food and Nutrition Research Institute (FNRI-DOST) say that breastfeeding rates are at 47 percent and more alarmingly, there are actually areas in the country that have breastfeeding rates of only 27 percent. That’s 7 out of 10 mothers who opt for infant formulas and other artificial milk substitutes. Beauty, Brains and Breastfeeding together with UNICEF are looking to shift this mindset. “Filipina mothers aren’t keeping it real and we want to help change that,” says Iza Abeja, Executive Director of Beauty, Brains & Breastfeeding. In keeping with the thrust to promote, support and protect the rights of the breastfeeding mother and child, BBB is organizing the Nurture Run, one of the biggest breastfeeding awareness initiatives in the country to date. 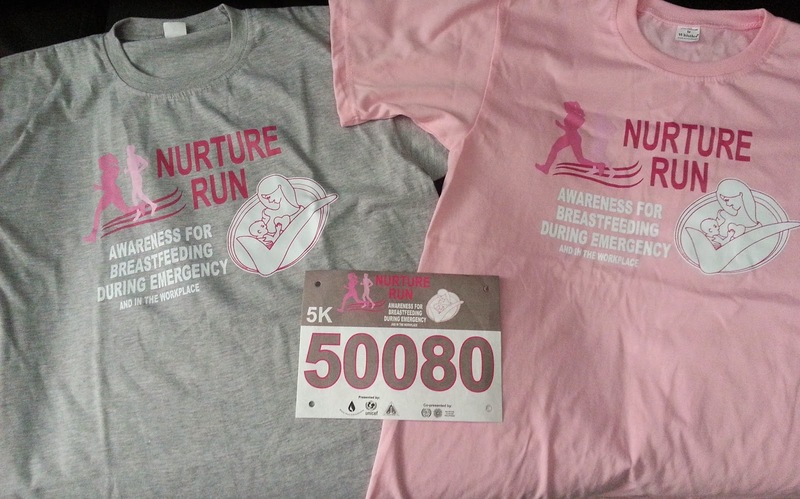 More than 10,000 runners and breastfeeding advocates are expected to join Nurture Run. Iza also shares that proceeds of the Nurture Run will go to mobilizing skilled counselors, sustaining mommy groups and organizing breastfeeding awareness activities as well as supporting Milk Banks through Milk Letting Days. 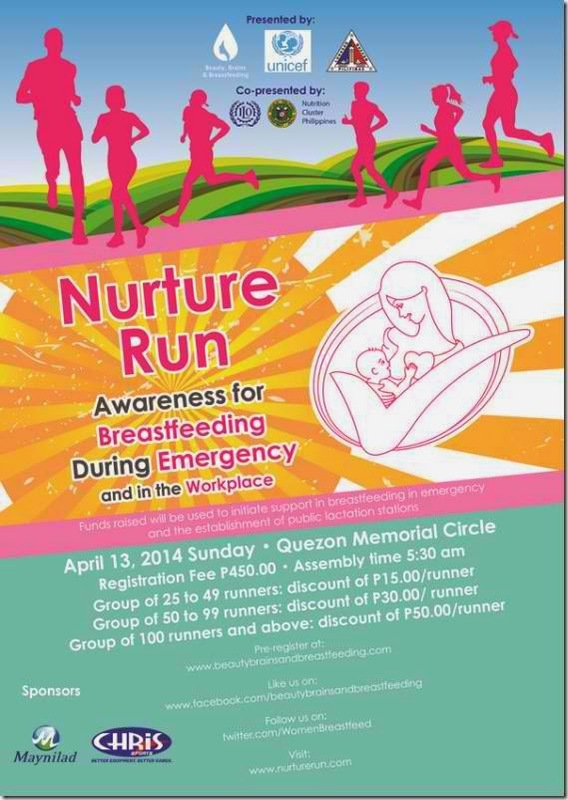 The Nurture Run is set on April 13, 2014 Sunday from 5:30 am to 10:00 am at the Quezon Memorial Circle. It covers 3km and 5km options with race kits costing PHP 450.00 inclusive of the race bib and Nurture Run shirt. The event is co-presented by UNICEF, International Labour Organization (ILO), National Nutrition Cluster group for Haiyan/Yolanda and Department of Health (DOH) in coordination with venue-host the Quezon City Government.